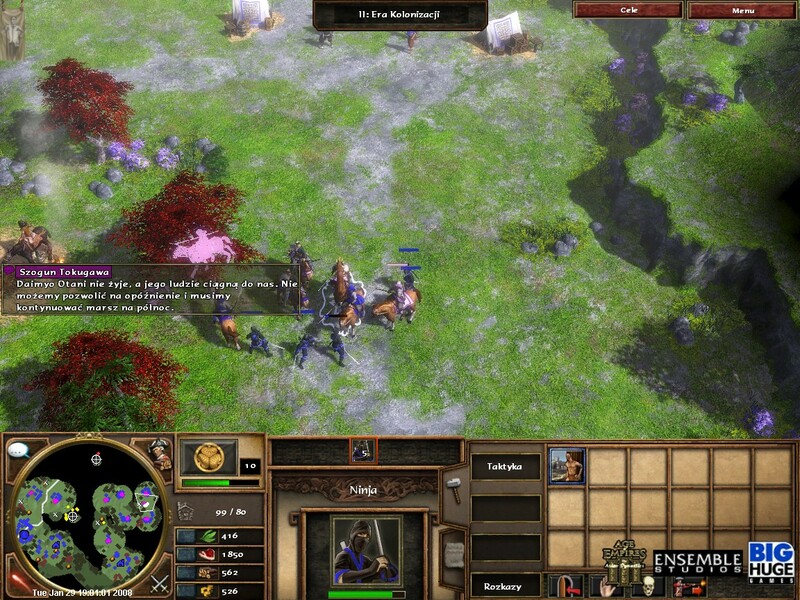 Age of Empires III: The Asian Dynasties is the second expansion pack of Age of Empires III developed by Big Huge Games. Beyond the new world, players can now explore the Asian continent. Three new Asian civilizations are introduced, the Chinese, Japanese and Indians. These civilizations bring a total of 15 new wonders, each of them bringing improvements and making it possible to progress to the next age. The game also contains three new campaigns divided into five scenarios, each representing one of the new Asian civilizations. This new expansion pack was released in the fall of 2007. For each of the Asian civilizations, the player can build a unique consulate, which allows you to ally with a European nation (French, English, Dutch, Spaniards, Germans, Portuguese, Ottomans, Russians), each bringing bonuses in exchange for export points, a resource automatically generated by each villager. Apart from the three new civilizations, the list of buildable buildings by villagers has undergone a reshuffle. The saloon, a building to recruit mercenaries introduced in Age of Empires III: The WarChiefs, has been replaced by a monastery for the new civilizations. In the same way, farms and the plantations are both replaced by a building called rice field, which allows the player to infinitely collect either gold or food. The outpost and the artillery foundry are replaced by the castle which combines these two buildings. The church, consulate and arsenal have been removed (although it still remains possible to obtain cannons/artillery through the consulate).